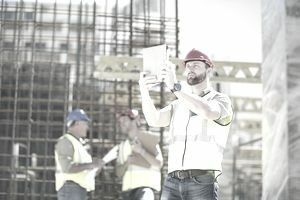 A non-conformance report, or non-conformity report or NCR, is a construction-related document that addresses specification deviation or work that fails to meet quality standards. The report is used to as part of quality control processes by detailing the problem, how it occurred, and how to prevent it from happening again. An NCR also is used in determining a resolution with a customer and documenting any corrective changes made. Who Can Issue an NCR? A non-conformance report can be issued by any of the project team members. The report must present a non-debatable fact and include clear and sufficient backup information that supports the claim. The NCR follows agreed-upon conditions for tracking and closing the report after appropriate corrections are made. Non-conformance reports often are used as training tools for team leaders to train other employees to help prevent similar situations from happening again. While NCRs are critical for quality control, they can introduce additional problems into the contract. Sometimes NCRs can be seen by financial institutions as red flags or can be identified as poor performance situations by the contractor, with the potential for financial impact on future projects. In some situations, NCR's can open the door to claims and even further arbitration processes. NCR's can also lead to delays in the construction process when additional resources are needed to correct the situations or areas being affected by the report. There is a lot of paperwork and research associated with an NCR, as the issuing party must gather information, specs, standards, and list procedures that were affected by the situation. Meet with the person issuing the NCR. Implement the corrective action and make sure through an inspection process that the issue has been solved adequately. Respond with a formal letter or other document, outlining the process that led to the action that triggered the NCR, documenting the action to solve the issue, and explaining the steps taken to prevent the problem from recurring. Make sure that your counterpart agrees and signs off on your action plan. What Is Construction Engineering Management or CEM?